Station Hollywood: Salman Khan's Tiger Zinda Hai with 322 crores broke the record of Bajrangi Bhaijaan. Salman Khan's Tiger Zinda Hai with 322 crores broke the record of Bajrangi Bhaijaan. Salman Khan's Tiger Zinda Hai broke the record of Bajrangi Bhaijaan. Tiger Zinda Hai presently crossed 322 crores business and has become the greatest blockbuster of Salman Khan. Salman Khan's Tiger Zinda Hai had crossed 300 crores in 15 days. It is 3rd film above 300 crores after Bajrangi Bhaijaan and Sultan. It is interesting to see whether Tiger Zinda Hai can break the record of Bajrangi Bhaijaan and PK. Salman Khan’s Tiger Zinda Hai crossed 250 crores in 9 days. Salman Khan is the King of records. His Bajrangi Bhaijaan did business of 320 crores. His Sultan did business of 300 crores. Now Tiger Zinda Hai crossed 250 crores in 9 days. It has all the possibility of crossing 350 crores business. After Bahubali 2, this has been the greatest blockbuster of the year. Tiger Zinda Hai (English: Tiger is Alive) is a 2017 Hindi action thriller film co-written and directed by Ali Abbas Zafar. The film stars Salman Khan, Katrina Kaif and Sajjad Delfrooz in lead roles with Angad Bedi, Kumud Mishra, Nawab Shah, Girish Karnad and Paresh Rawal in supporting roles. The film is the sequel to the 2012 film Ek Tha Tiger and the second installment of Tiger film series, and is based on the 2014 abduction of Indian nurses by ISIL. The story picks up from where the first film in the franchise left off. Indian RAW agent Tiger (Salman Khan) and ISI agent Zoya (Katrina Kaif) are married and living a peaceful life with their son. Eight years have gone by since they decided to choose love over their missions. But their plans will change very soon, with another mission (most impossible) coming up for this sota hua Tiger. Tiger's ex-boss Shenoy (Girish Karnad) tracks him down and wants him to rescue 25 Indian nurses who are held hostage at a hospital by a dreaded terrorist organisation that has taken over Iraq. From here, it's a Salman Khan show all the way with his star power and screen presence looming large, ably aided by Katrina Kaif who jumps into the fray as 15 Pakistani nurses who are also held hostage with the Indians need to be rescued. The other USP of this mission is, that Tiger brings together Indian and Pakistani agents to fight terror in Iraq, for the sake of humanity. And, not surprising then that there is a fair sprinkle of patriotic one-liners, too. And all this is happening with oodles of swag and style. (Obviously!) The film is visually stunning in parts and Salman Khan plays Tiger with roaring confidence and dialogues packed with punch. Of course, his fans get a true-blue Salman Khan moment when he bares his torso. However, the screenplay often loses focus, slackening the film's pace and our attention. Director Ali Abbas Zafar had a lot of ammo in hand, with the star power of Salman Khan and Katrina Kaif adding to that. 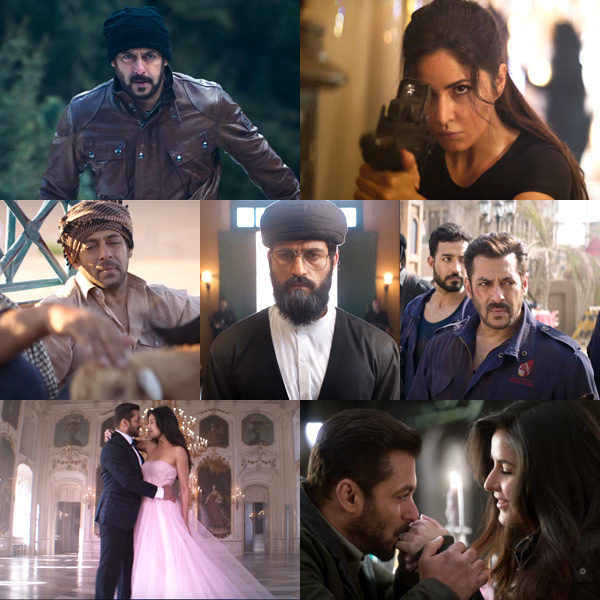 Euphoric with the stupendous success of Tiger Zinda Hai, director Ali Abbas Zafar says it's the message of love and humanity which has struck a chord with the audience. The movie, which features Salman Khan and Katrina Kaif, has brought much-needed respite to the box-office by earning over Rs. 200 crore in seven days since its release itself. The film's message is of universal value: humanity is above all.